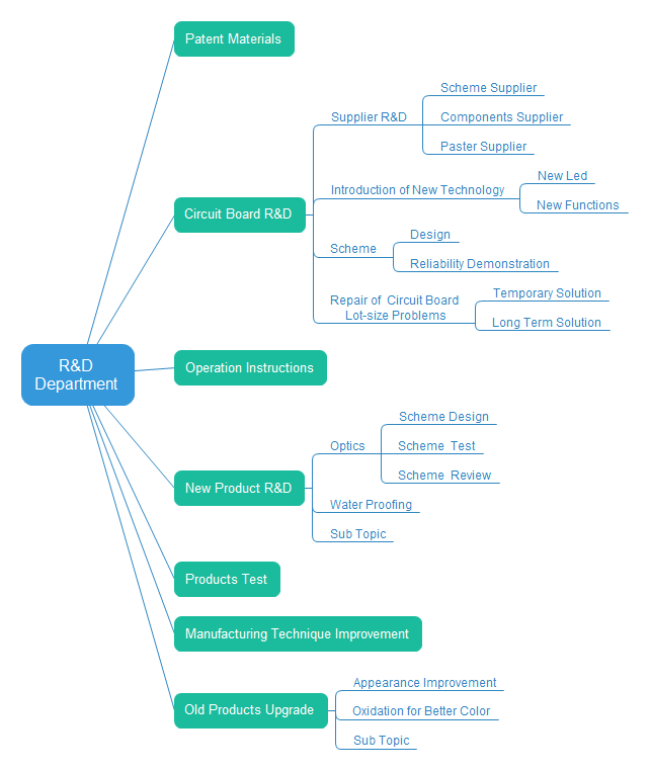 A series of WBS diagram examples for project management are prepared on this page, which are downloadable and editable. A WBS (work breakdown structure) chart shows the steps of a project in a hierarchical format. 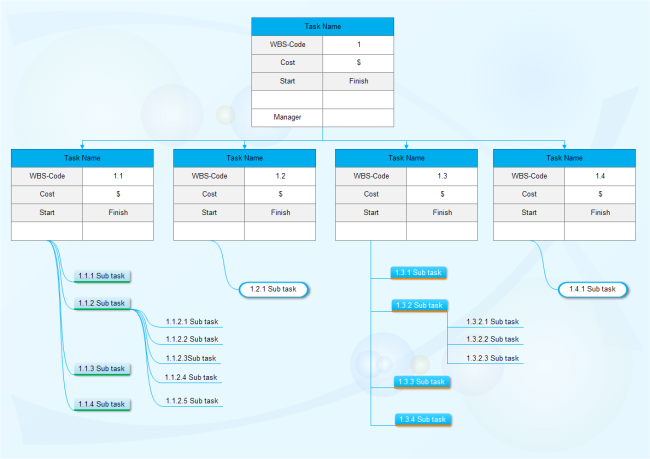 Here shows a list of WBS diagram examples, which you can also download as your own WBS template. The wbs example you see below is made of task tables, which can be filled with detailed information like "cost", "start and finish date" and "responsible person's name". This hierarchical tree style WBS chart is actually made of mind map shapes with numbering. It can be created automatically by clicking on the floating buttons through Edraw. If you want your WBS chart to be unique and visually impressive, you can try custom shapes. This software development WBS diagram example is made of custom shapes and connectors. 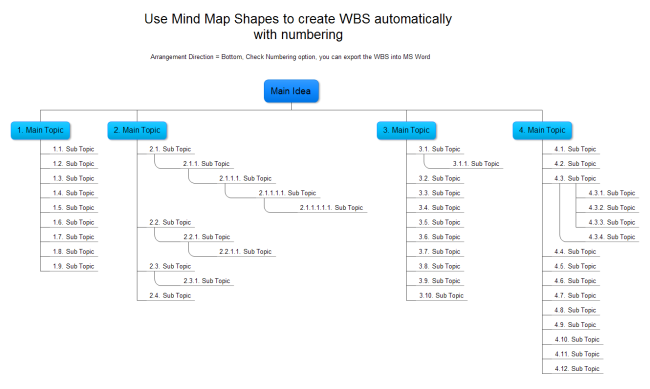 A fast way to create a WBS diagram is using the Mind Map tool. Like this example below, the structure is organized and clear. Download Edraw and see how quickly and easily you can make WBS charts.